The Fellowship was fortunate enough to obtain advance copyof LOOSE ENDS #3 from 12-Gauge Comics. This is the third chapter of a four-issue mini-series. 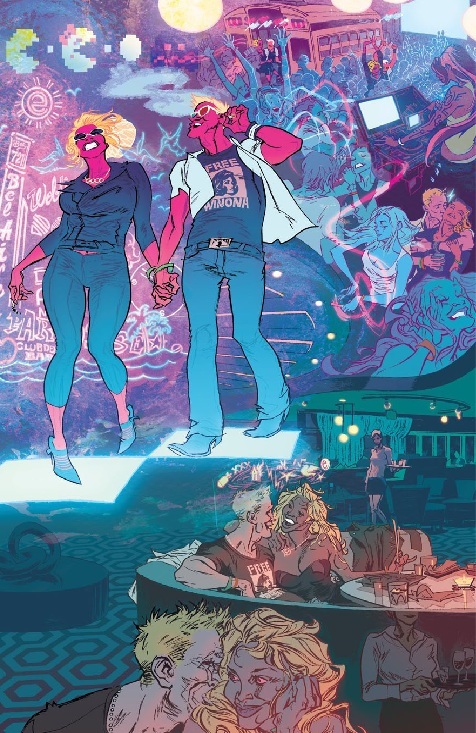 Jason Latour (The Expatriate, Daredevil Black and White) wrote thestory, with Chris Brunner (Nola, Boondock Saints: Mob War) handling the artworkand colors by Rico Renzi (Perhapanauts, Frenemy of the State). Sonny and Cheri are in Miami trying to forget the events at Bobbis Hideaway bar which lead to his ex-Kim being shot and killed during afight. Rej shows up there with an offer from the two crooked cops – turn over Batista and you are free. Sonny and Cheri try to escape. There are flashbacksto Rej and Sonny’s tour in Baghdad intersperse throughout the issue mirroringthe danger the lead characters are facing now. The art in this book is just incredible. Brunner’s pencils walk the fine line between cartoon and realism. Renzi’s use of color is unusual, but in a great way. Thecomic is so visually stunning and unique. Latour’s writing is solid and real,but this not my cup of tea. I don’t go for the shows like THE WIRE and BREAKINGBAD, but if you do this is the book for you. 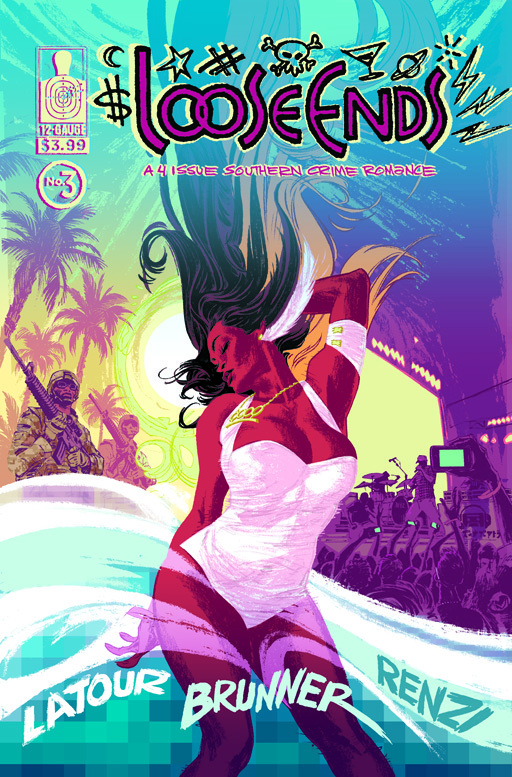 LOOSE ENDS #3 is in stores now orcan be ordered at their website www.12gaugecomics.com.